If you are a lavender lover and grower, you have discovered that if bees are nearby, they love lavender in bloom. Lavender loves full sun (at least 8 hours per day or more). There are many ways to prune lavender. What is lavender? What are its characteristics? How can it be grown? 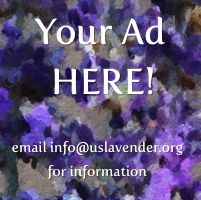 There are many many questions and information sources about lavender. Here you can find articles that address basic information about lavender. You also have the opportunity to request other articles that you might not find here.